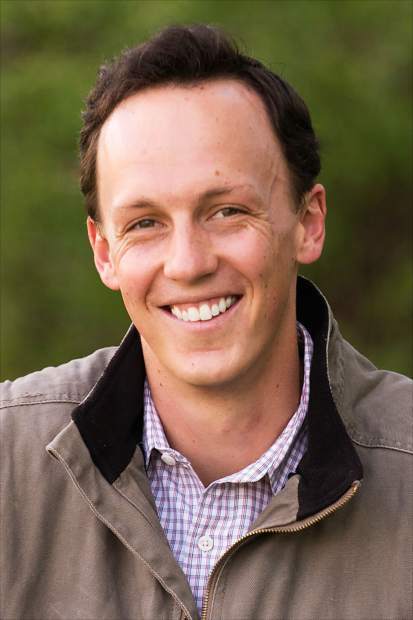 STEAMBOAT SPRINGS — A group of residents from Routt and Eagle counties chose Dylan Roberts to advocate for them in the Colorado House of Representatives. Roberts was chosen Saturday, Oct. 29, to fill the Colorado House District 26 seat vacated by Diane Mitsch Bush, the Democrat who resigned to focus on her campaign for U.S. Congress. “It was a good and exciting day,” Roberts said, who grew up in Steamboat and now lives in Eagle, where he is a deputy district attorney. There were nine delegates from Eagle and six from Routt who met at the historic Crossan’s Market in Yampa to decide between Roberts and Eagle County Commissioner Jill Ryan. Each of the candidates was given time to speak and answer questions. Ultimately, the committee voted 11-4 in favor of Roberts. “Our No. 1 priority was to have a fair, transparent and inclusive process,” Carson said. Roberts will try to keep his House District 26 seat as the Democratic candidate in the November 2018 election. He said Ryan pledged her support for him during Saturday’s event. Roberts said he believed he was the right person for the job because of his strong ties to both Routt and Eagle counties. “As the representatives of the Democratic party, they were looking for someone that would project a new and positive message for the district,” Roberts said. At 28 years old, he is a fresh face in the political arena, although he did work on Barack Obama’s 2008 presidential campaign in Steamboat. Roberts said things have been moving very quickly ever since Mitsch Bush announced in July that she would be stepping down. “Now, it will be a different whirlwind getting ready for the legislation session,” Roberts said. Roberts said he will take a leave of absence from the Eagle County District Attorney’s Office from January through May so he can concentrate on the legislative session. “Just preparing to hit the ground running from Day 1,” Roberts said. He said he would continue focusing on the issues that were important to Mitsch Bush. That includes transportation funding and lowering the cost of health insurance in mountain communities. His other priorities are backing bills that focus on affordable housing, child care and protecting the environment.